Smart home specialist Allure Energy has introduced new sensors that incorporate NFC and Bluetooth Low Energy, enabling both iOS and Android device users to have the temperature of individual rooms in their home adjusted to their preferences as they approach, enter or leave a particular room. The Aura sensors can be placed in any room of a house and work in conjunction with Android and iOS apps and the company’s EverSense smart thermostats to add room-by-room temperature control to the company’s existing service. Based on GPS technology, this enables homeowners to automatically adjust the internal temperature as they draw near or move away from their home. 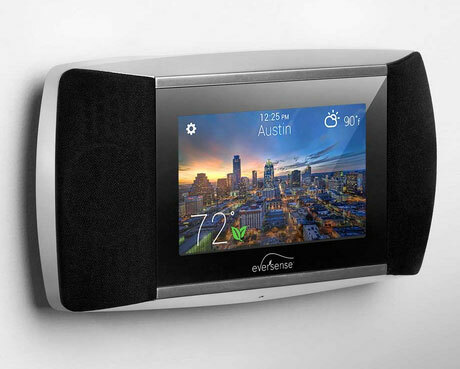 EverSense thermostats feature WiFi and a touchscreen display as well as speakers that can be used to stream music from a mobile device. Support for NFC was first announced at last year’s CES.